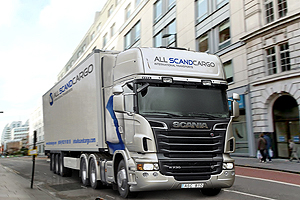 Thanks to the comprehensive transport services offered by All Scandcargo, I no longer have to worry about shipping. Even my customers are happy, in particular when we have to ship goods that require special care..
On behalf of CST, I would like to express our appreciation for the magnificent job you have done, highlighting in particular the level of professionalism and the courtesy of the entire team. We would like to congratulate you on your fine service and the results obtained. I would like to thank everyone at All Scandcargo for their personal treatment, dedication, kindness and professional attitude. It is difficult to find companies that offer the service and treatment that you offer. The last 9th of December, the Council of Ministers approved a royal decree that established a framework of measures to implement the provision of infrastructure for alternative fuels. This measure was published in the Official Bulletin of the State (BOE) one day after its approval and it is already working. The formation of the new government has created a big expectation. This expectation has been taken with cautiously by road transport sector, in regards with the possible implantation of the Eurovignette and the increase of special taxes such as the mineral oil tax, which has created annoyance among the transport sector. Administrative Court No. 4 of Las Palmas de Gran Canaria has just considered the lawsuit of a transport enterprise which demands the devolution of their income because of the possible misuse of funds. 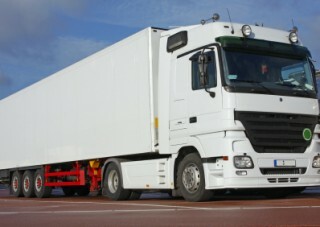 This enterprise considered that their drivers must have been contributed in terms of labour accidents or occupational diseases by activity CNAE, a 3.70% instead of the occupation f), a 6.70%. The employer must keep a daily register of the number of working days that employees carry out, with the intention of compensate working overtime. All the employees must keep this register, regardless of whether they work overtime or they do not, they have to report in the register as well if they work part or full time. Labour inspectorates will be focused on enterprises with less than 50 employees.